“See you around, kid." Haunted by Ben Solo’s fall to evil and convinced the Jedi had to end, Luke sought exile on a distant world, ignoring the galaxy’s pleas for help. 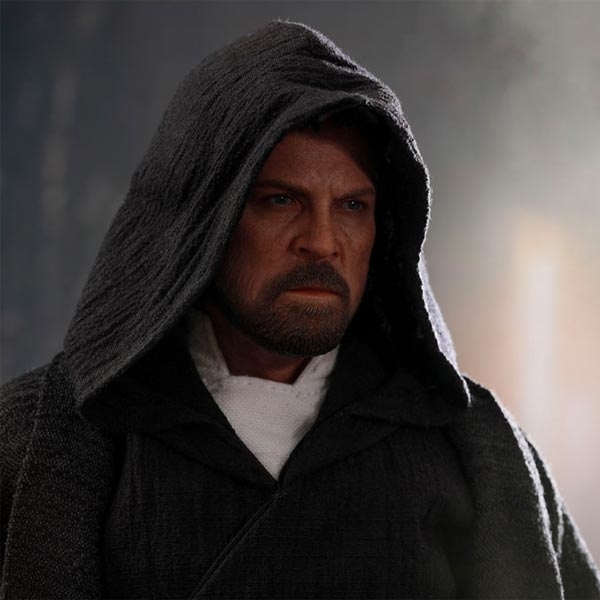 But his solitude was interrupted – and Luke Skywalker had one final, momentous role to play in the struggle between good and evil. 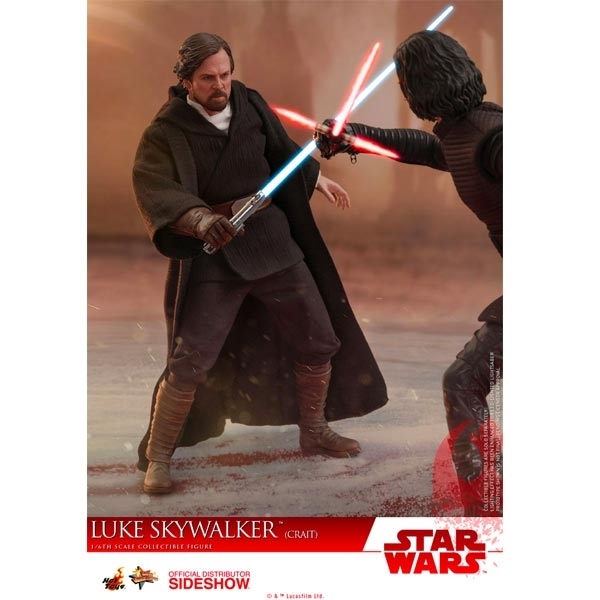 Sideshow and Hot Toys are thrilled to introduce the new Luke Skywalker (Crait) Sixth Scale Collectible Figure as seen during his showdown with Kylo Ren on the planet of Crait in Star Wars: The Last Jedi! 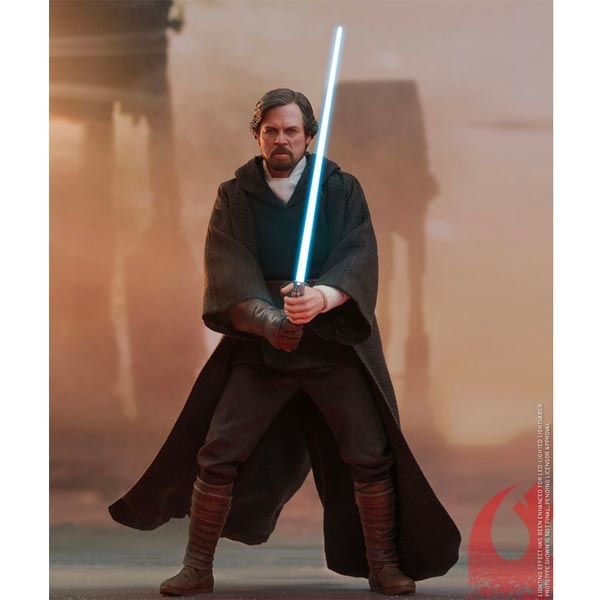 The highly-accurate collectible figure is expertly crafted based on Luke Skywalker’s appearance in Star Wars: The Last Jedi. 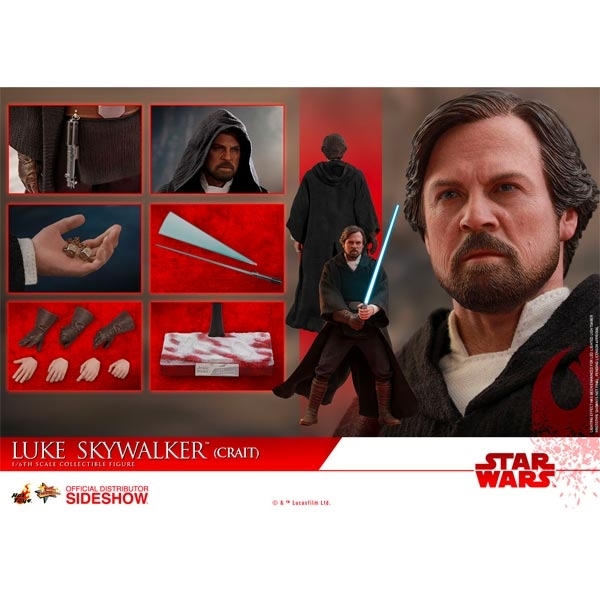 Featuring a newly developed head sculpt with incredible likeness, greatly detailed robed costume, LED light-up lightsaber, an interchangeable lightsaber blade emulating the weapon in motion, a pair of dice, and a specially designed figure base inspired by the unique environment of Crait.